One thing you should know about me is that I'm absolutely appalling when it comes to regularly posting on blogs, writing in journals, and coloring in my adult coloring books. This blog will mark the beginning of my work on the former; the latter two can wait for a rainy day. The second thing you should know about me is that my last name is not Verene (confusing). My full name is Hannah Verene Joyce (soon to be Hannah Verene Lydiatt as of next May!) --I use my first and middle name for my business name. When I started my photography business in April of 2015, I was doing it because photography gave me joy and because of how rewarding it is to hear someone say, "Wow! I look like that?" or, "These perfectly capture our personalities!" 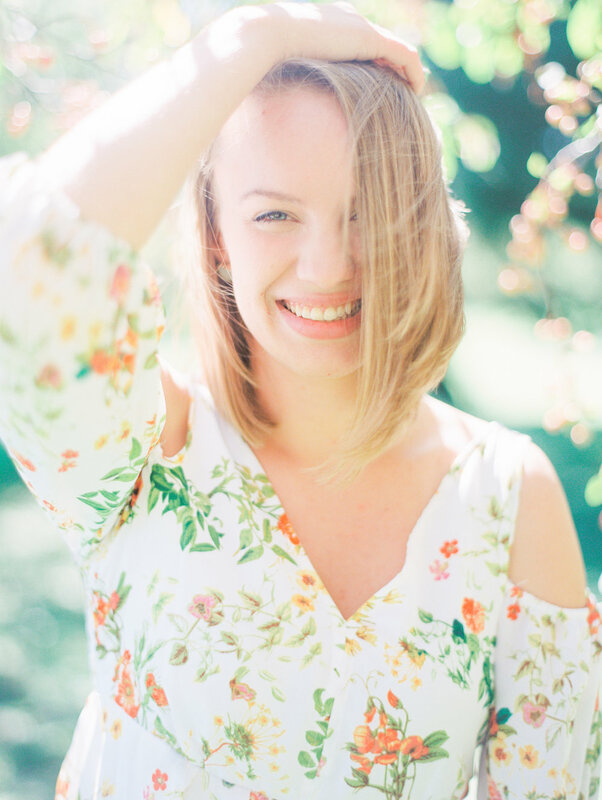 I loved making people feel beautiful and I loved providing them with images that they'd be able to look back on and say--this is what I used to look like when I laughed! My outlook on both life and my role as a photographer drastically changed when my dad died in December 2015. Without going into too many details, he died suddenly at the age of 52 after a heart attack that sent him into a coma and we'll never really know why. I've seen 3 different counselors since January of this year and I'm working through my issues. My experience with losing dad made me realize just how important my job as a photographer is. I'm not just taking pretty pictures that you'll post on Facebook and get lots of likes from your friends. I'm documenting the here and the now. Freezing that moment in time. That's why I won't photoshop you to make you slimmer. Everything about you is you--from the 10 pounds you want to lose to the mole you wish you could get rid of. If you died tomorrow, your kids or your spouse or your parents will remember you exactly how you are today. I love this photograph of my family because it shows us happy and whole and it shows my dad exactly as I remember him. I have photos of him from 5, 10, 15 years ago, from when he was slimmer and younger. Maybe he liked the way he looked better in those photos, but that's not how I remember him. I remember him how he is here-making a silly face to get a real smile out of Liam and, consequently, making us laugh too. I do it because everyone should have a photograph like this one. I do it because life changes between one heartbeat and the next and you deserve photos that convey the total love you have for each other. You deserve photos that capture your family exactly as you are-laughing and imperfect and whole. You deserve more than the stiffly posed photos from Sears and JC Penney. We have those and I don't look at them. They aren't my dad as I remember him. So--my name is Hannah and I want to document you. I have an emotional range much larger than a teaspoon and I cry a lot (if I shoot your wedding, chances are you'll catch me crying during the ceremony, first dances, or both). I love tea and I love making people laugh. In my free time, you can spot me taking too many selfies, painting the same quote four times (because it didn't look right the first three times), or doing some online window shopping (sometimes actual shopping). I'd love to meet you. me. by addie poe photography.